Applied Nanotech Holdings, Inc. announced that it has been awarded a Phase I contract by the US Army under the Small Business Innovation Research (SBIR) program to develop a battery anode using a novel silicon nanostructure material for rechargeable lithium-ion batteries. A highly active Fischer-Tropsch (FT) catalyst combined with an FT microchannel reactor has earned the Oxford Catalysts Group a place on the Clean and Cool Mission to Silicon Valley, in California. Open-Silicon, Inc., a leading ASIC design and semiconductor manufacturing company, and Virage Logic, the semiconductor industry's trusted IP partner, today announced a partnership agreement to provide customers with comprehensive design solutions including access to Virage Logic's extensive Physical and advanced Interface intellectual property portfolio. Xennia Technology, a subsidiary of Royal Ten Cate, presents today its process demonstrator for printing and finishing of textile materials. Following last year's purchase of several PV1200 photovoltaic metallization lines from DEK Solar in 2009, Zhejiang Hongchen has started the New Year extremely positively by purchasing more lines from the screen printing specialist. 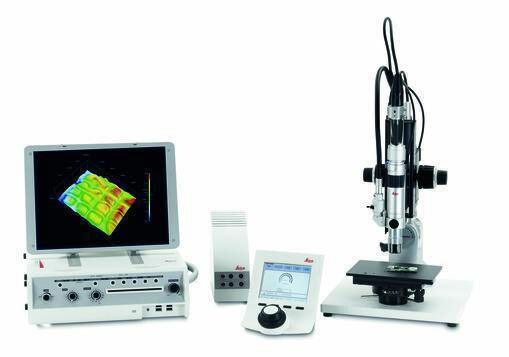 Portable digital microscopes perform fast, high-quality quantitative 2D and 3D Ssurface measurements. Celator Pharmaceuticals today announced that the National Cancer Institute's (NCI) Nanotechnology Characterization Laboratory (NCL), operated by SAIC-Frederick (Frederick, Maryland), has agreed to conduct characterization studies to advance the development of the company's nanoparticle drug formulation technology. This acquisition significantly strengthens AB SCIEX's position in liquid chromatography, which is a key technology used frequently in a broad range of life science applications such as protein biomarker research, drug discovery and basic research. Tanner EDA, the catalyst for innovation for the design, layout and verification of analog and mixed-signal integrated circuits (ICs) and Sound Design Technologies (SDT), a leading designer and manufacturer of integrated passives and stacked-die assemblies, are collaborating to develop process design kits for analog/mixed-signal (A/MS) designers using Tanner EDA's HiPer Silicon software. Oerlikon Solar today announced that Gadir Solar is using its amorphous thin film silicon PV technology at the solar fabrication plant located in the bay of Cadiz, Spain. Compared with the existing product Baytubes C 150 P, the CNTs with the trade name Baytubes C 70 P are characterized by improved dispersibility, making them highly suited to use in mechanically sensitive polymers. At Nanotech, the world's leading nanotechnology trade fair in Tokyo, Bayer MaterialScience is showcasing the two conductive inks BayInk TP S and BayInk TP CNT, which have been developed primarily for use in the growing 'printed electronics' market. AIXTRON AG today announced a multiple system order for several CRIUS (31x2 inch configuration) and AIX 2800G4HT MOCVD production systems (42x2 inch configuration) from Lattice Power, an existing customer in Nanchang, Jiangxi Province, China. This is one of the largest single orders from China AIXTRON had received. AMST intends to provide SVTC with access to its MEMS anti-stiction coatings and process services for the ultimate benefit of SVTC's customers. The LDLS light sources are well suited to challenging applications such as advanced circular dichroism spectroscopy, stopped-flow spectroscopy, and fluorescence spectroscopy. The Soitec Group, the world's leading supplier of engineered substrates for the microelectronics industry, announced today volume production of its new generation of state-of-the-art high-resistivity silicon-on-insulator (SOI) substrates to serve the growing cellular phone and Wi-Fi markets.